Currently, there are two Bastion Developments in the Vancouver real estate community that are nearing sell-outs. The first is a boutique Kits condo development at Pulse Living that features a great location and expansive views from patios and rooftop decks. The second is the Vancouver UBC COAST Villa Collection that is absolutely stunning in every way. If you would like more information regarding either of these Vancouver Bastion Developments, please read further for contact information, latest release incentives and offerings. Step up to your expansive private rooftop patio and enjoy the incredible views from your home at Pulse Kitsilano condos in Vancouver West real estate market today! A Bastion Development, these luxurious Vancouver Kits Pulse Condos for sale offers boutique city homes that start from an affordable price point of $468,800. In addition, there is an exclusive release of Kits Pulse Vancouver penthouse suites that start from $898,800 right now! The Penthouses at Pulse Kitsilano condo living by Bastion Development features a one of a kind unique spiral stair case that leads the home owner to a private landscaped rooftop patio that is both expansive and nothing like you’ve ever seen. Offering expansive city and mountain views, these Kitsilano Pulse Vancouver penthouses offer spacious floor plans that are open concept, bright, airy and located in the heart of Kits, Vancouver real estate’s most iconic neighbourhood. Unit 705 at Pulse Kits penthouse Bastion Development is now selling (Creelman plan) which features two bedrooms, and approximately 1141 square feet plus a large rooftop patio (private of course). The Bastion Development Presentation Centre for the Pulse Kitsilano condos for sale are located at 2538 Maple Street, Vancouver and is now open for a limited time only from noon to 5pm from Saturday to Thursday or by appointment. You can call 604.512.5571 today. Remember that Bastion Development Vancouver can reserve the right to make modifications to specifications without notice. Best of all, there is no BC HST on the Kits Pulse Vancouver condos if you purchase before July 2010. Click here for more information about the new Kits Pulse Vancouver condos for sale. The Villa Collection at COAST UBC Vancouver by Bastion Development Now Released! 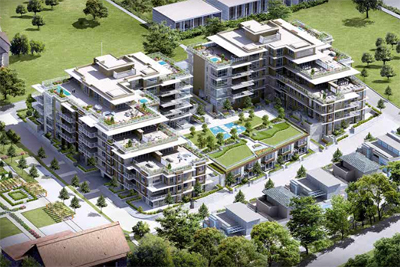 As we mentioned above, Bastion Development property developers is now launching the final releases of two Vancouver based projects, and the second one is out at UBC COAST living. Exquisite Vancouver family homes in a rich, vibrant, established community are now available at the COAST Villa Collection. Designed for entertaining, these spacious attached COAST Villas at UBC Vancouver real estate market by Bastion Development features gourmet kitchens, expansive outdoor terraces, and natural materials throughout the residences. Be a part of a quiet scenic neighbourhood at UBC Vancouver real estate’s most northern point, steps from cultural destinations, shopping, great dining and the most beautiful beaches today. For more information regarding these Bastion Development UBC Vancouver COAST Villa Collection homes, please call 604.377.1362 to arrange a private introduction and viewing or you can also visit coastliving.ca anytime. The presentation centre for this newest release of UBC COAST Villa Collection of homes by Bastion Development is located at 5052 Chancellor Boulevard, UBC Vancouver and they are open Saturday to Thursday from 12 to 5pm or by appointment. Like the Pulse Kits condos for sale, if you purchase a COAST UBC villa home before July 1st, there will be no BC HST! For more information regarding the COAST UBC community, please click here. So there you go, the latest 2 releases by one of the most respected and established Vancouver real estate developers at Bastion Development. Lots of choice, affordable options and great locations, the Pulse Kitsilano condos as well as the Villa Collection at COAST UBC Vancouver communities are nearing sell-outs, so hurry up and contact a Bastion Development sales staff for more information today.